TEG Package for offshore installation. 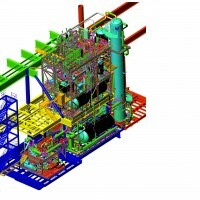 Comprised of 13 separate skid modules and 2 large fully dressed towers. © 2019 Harpspring Designs. All rights reserved.